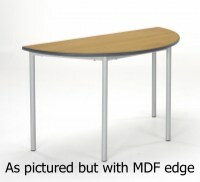 School Classroom Desks and Tables for Academies, Colleges and Schools on sale now! Nationwide delivery, product helpline, easy on line ordering. We sell a wide range of school class room tables and desks that can be used in school canteens, classrooms, science labs and music rooms. These easy to move and store school chairs are a great buy for schools and academies wanting to make multiple use of limited room space.